The Mac Self Service application now uses the Michigan Tech brand and is named Tech Apps. This does not affect the functionality of the Self Service app for Mac computers. A Michigan Tech Logo replaces the Self Service (JAMF) icon. 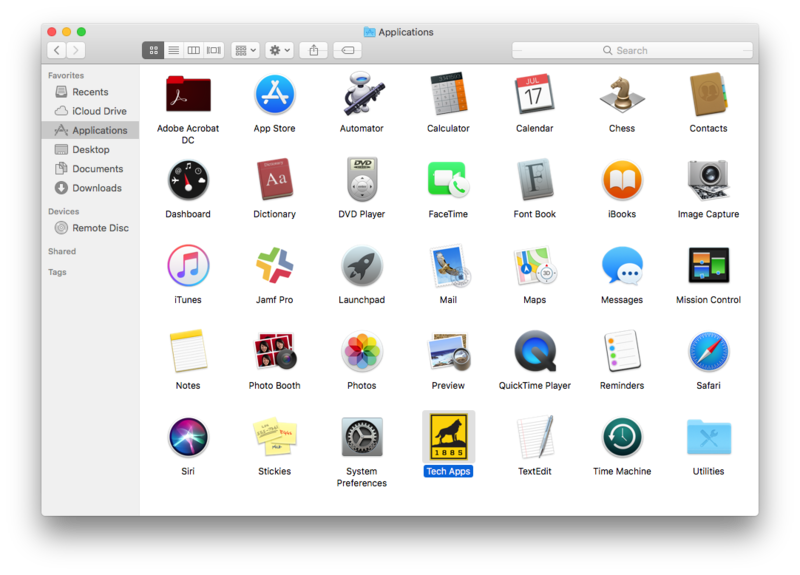 It listed as Tech Apps instead of Self Service in the Applications folder (alphabetization affects its new order in the list). We can help. If you have questions, please contact us at it-help@mtu.edu or call 7-1111.